Joe Rogan and John McCarthy were discussing the differences between two UFC eras – WME-IMG current ownership, and Zuffa. 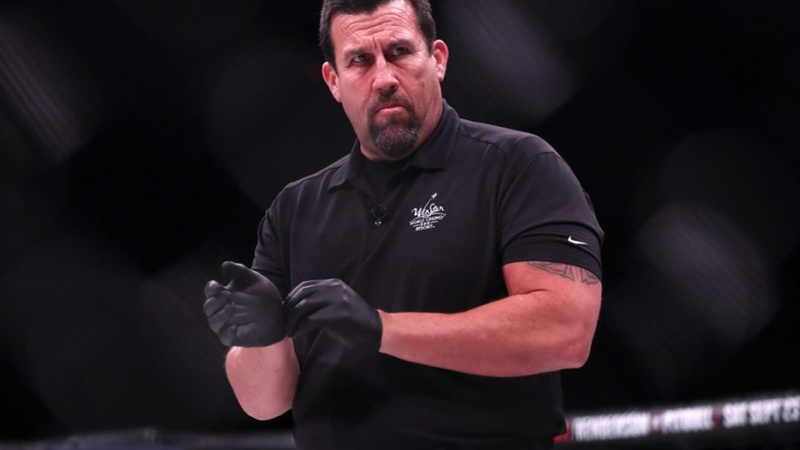 John McCarthy was a long-time referee, a fan of classic, and his answers are everything but surprising. Looks like when old-school blood runs through your veins, there are some things you simply can’t get rid of. UFC ratings are getting lower and lower. The expectations are high, the results are… well, unsatisfactory is a very light word. UFC 224’s preliminary card that were held on Saturday night in Brazil had a low average score of 574,000, which is, unfortunately, the lowest PPV prelims broadcast of 2018. Joe Rogan pointed out that too many events during the year might create a tremendous problem. After all, people don’t know what to focus to, and various events every week could mean they might watch “a bit of something”. John McCarthy agrees when it comes to this topic. WME-IMG spent 4 billion dollars to buy UFC from Fertittas. What do you think, is this the real price? Should someone listen to John McCarthy and decrease the number of events?